We've been running here and there but we're finally getting around to an update. Rob is in Bahrain for a week so Rowen and I are going it alone for a few days. Between work and being entertained by little mister, we're staying occupied. Rowen says the most hilarious things these days. He was recently saying goodbye to a new friend and at the last minute threw in, "Yes, and next time I will super size you!" He calls Lady "lil fella" all the time. As in, "Come here, lil fella, got a treat for you." "Yes, Indeed!" is his favorite affirmative response. He loves to run around the house with any piece of clothing or linen tied around his neck, proclaiming, "I'm a SUPER-hero!" Every single baby we see is "Baby Joel", our neighbor's new baby. Sometimes when I explain to him what we're about to do, like take Lady for a walk, then eat dinner, then read books, he'll say "Dat's a good plan, Mama." I could just eat him up! When he wakes up in the morning, I always ask him what his dreams were about. Pretty consistently, he says one of two answers: My bed OR The Toilet Papers. Of course, we survive plenty of tantrums, too. But they come and they go and life goes on! A few weeks ago, Grandpa Chris and Grandma Cindi visited. We celebrated Chris's birthday while he was here and Rowen had quite a grand time with the cake! We love you, Grandma and Grandpa Snow! A week or so later, we went down to Oceanview Beach here in Norfolk with the Rice's. I babysat Owen and Joel that evening and Owen and Rowen vegged out on the couches. They were so cute! Then my Mom, Granny and cousin Jay visited from Georgia. Rowen thinks Jay hung the moon! He's been looking for him since he left! Rob was scheduled to be in Bahrain over Labor Day weekend but thanks to Hurricane Earl--which turned out to be a light shower--his trip was canceled! So we headed down to Lake Kerr to hang out with Gigi, Pop Pop and Harley. Pop Pop to the rescue! Two weeks ago, our residency had its annual retreat in the Outer Banks of North Carolina. It's pretty nice to "work" for a week at the beach! And with perfect timing, Katy and Frankie got married in the Outer Banks that weekend! So Rob and Rowen met me down there mid-week and we got to visit with all of his college buddies before the wedding. And here we are. 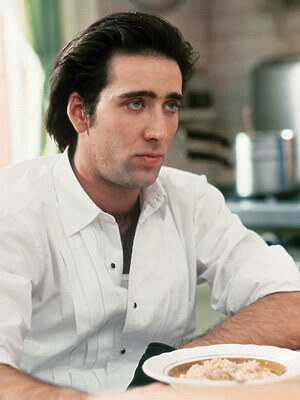 I'm watching Moonstruck tonight and remembering how much I love Nicholas Cage. Don't worry, Bobby, I love you more! Anyway, I'm the first to admit that not all of his movies were hits. But, undeniably, Raising Arizona and Leaving Las Vegas are pure magic. I'm off to see MISTER PORTER ADAM COLLINS (!!) this weekend, my sweet Katie's brand new baby boy and I.cannot.wait! I will snuggle that precious lil thing so quick! Annie is coming in from Oklahoma, too, so its going to be a fun little reunion for the 3 of us. The next week, we're headed down to Georgia for a visit, during which, my mighty good man will be taking my mom on a "date" to the UGA v. UT game in Athens for her birthday. You have not truly experienced college football until you have stood beside my mom as she screams "GOBOYGOBOYGOBOY!" Rob can't wait ;) Love you, mama! Well, gotta get to bed. Have a great week everyone! And that pic of the cake has sent me into the pantry for a box of swiss cake rolls. Thanks a lot. I forgot about that and I just spit my coffee across the room!! Before I die Bonnie must come with me to a football game!! That is so dang funny!